The Superior Court of New Jersey, Appellate Division, in a noteworthy case entitled Midland Funding LLC v. Thiel, et al., recently held that in the context of retail store credit cards—whose use is limited to a specific store—the applicable statute of limitations is four years rather than five or six years. The statute of limitations limits how long a consumer can be successfully sued to collect a debt, so the shorter statute of limitations period benefits consumers and provides clarity in the confusing realm of junk and zombie-debt collection. The Court disagreed with Midland’s arguments that the six-year statute of limitations that governed most contractual claims under New Jersey law applied, finding instead that the four-year statute of limitations that governs contracts relating to the sale of goods controlled. In Thiel, Midland filed collection lawsuits which were beyond the four-year statute of limitations, but within a six-year statute of limitations. Ultimately, the Court agreed with the lower court’s analysis that an “agreement between a buyer and a third-party financer who is neither the seller nor an assignee of the seller to provide credit for the purchase of goods [is equivalent to] a contract for the sale of goods [that is] subject to the four-year limitations period of the [UCC].” Examining the transaction as a whole, the Court found that the “essence or main objective of the parties’ agreement” was still a transaction for the sale of goods. Importantly, the Court also found that partial payments, which were less than the required minimal payment, did not toll the running of the statute of limitations. Typically, the right to institute a junk or zombie-debt collection lawsuit arises on the date of a consumer’s default, i.e. the first date the consumer fails to make at least a minimum payment. The Court determined that Thiel’s partial payments, which were less than the required minimum payment, did not change the date of the original default, and therefore did not change the date on which the cause of action accrued. As a result, the statute of limitations for Midland to sue began on the date of Thiel’s first default, and ran out four years from that date. Even more important for consumers, the Court found that Midland violated the Fair Debt Collection Practices Act (“FDCPA”) by initiating the lawsuit on a time-barred debt, noting that filing the lawsuit is “automatically a violation.” Midland incorrectly operated under the belief that the six-year statute of limitations applied, and as ignorance or mistake of the law itself does not excuse liability under the FDCPA, by filing a collection action on a debt that was time-barred, Midland violated the FDCPA and was liable to Thiel for damages, attorneys’ fees, and costs. The FDCPA, and its Florida counterpart, the FCCPA, protect consumers from unscrupulous conduct by creditors and debt collectors. This Thiel ruling is a win for consumers, and is another tool for consumers and consumer lawyers to fight against the unlawful collection practices of large junk debt buyers and debt collectors. The attorneys at LeavenLaw are committed to fighting for the rights of consumers, and we will continue to fight junk debt buyers such as Midland who harass our clients or violate the law when attempting to collect a debt. 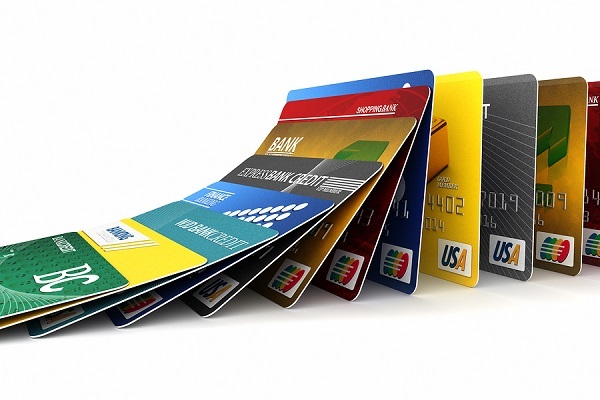 If a debt collector is trying to collect a debt from you or someone you know that originates from retail store credit card (for example, department store cards, Best Buy, The Home Depot) older than four years, please contact me, Sara J. Weiss, Esq. at (727) 327-3328 or visit www.floridacollectiondefense.com. Our initial consultation is always free, you may be entitled to damages, and the debt collector may have to pay our attorneys’ fees and costs. Be careful out there. The high cost of automobiles and the unprecedented number of 5+ year car loans is taking a financial toll on Tampa Bay consumers. Tampa Bay has recently seen an uptick in auto loan modification companies that are simply scams. Much like the foreclosure defense scams that did nothing more than take money from cash-strapped homeowners, these auto loan modification companies are doing little more than taking cars and leaving the debtors on the hook for the loan. Then, unbeknownst to the consumer, the company will ship the car out of state to take advantage of legal loopholes that will allow them to clear the title of all liens (e.g., “wash the title”). The Federal Trade Commission (FTC) took on three such scams in California. Details of this scam are featured in this Press Release issued by the FTC. The truth is, when consumers are sinking financially, they often will take the advice of anyone offering to help. They don’t fend for their client, they fend for themselves: CBS is the only true debtor friendly alternative to repo agents and scam artists. CBS was founded by licensed professionals who understand bankruptcy and debt/credit law . . . and are well respected in their community. CBS was developed to legitimately help bankruptcy attorneys and trustees (and ultimately the debtors who filed bankruptcy) solve their problems with surrendered collateral. CBS will reach out to your client to arrange a pick-up time and date that is convenient to them – at no cost to the debtors. CBS will provide your client with a Receipt of Possession, to document the transfer of the car, boat, RV or motorcycle, and promotional codes for free credit counseling or debtor education. CBS will provide to you a $100 AMEX gift card as a small token of thanks for the referral and your trust. If you or your bankruptcy client want to know more about CBS and our success in coordinating the surrender of vehicles, please visit our Facebook page or the Frequently Asked Questions on our website. Once you have had all of your questions answered by a legitimate company established to solve problems, you can contact CBS to arrange a pickup. Collateral Bankruptcy Services, LLC is a company that assists trustees, debtor's attorneys, and debtors in correctly and effortlessly surrendering automobiles incident to the bankruptcy process. We also offer Legal Practice Consulting to aid Debtor's Attorneys in identifying potential new business opportunities, improving process, and increasing profitability. 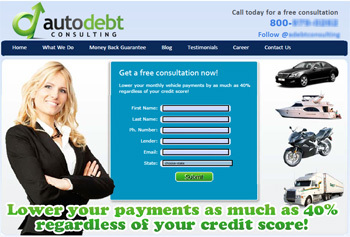 For more information, please visit us at www.CollateralBankruptcyServices.com or call us at (727) 362-4944. We will look forward to assisting you.